You will avoid the main roads with car traffic and you will ride through the typical Mallorcan countryside. This route is flat and very easy. 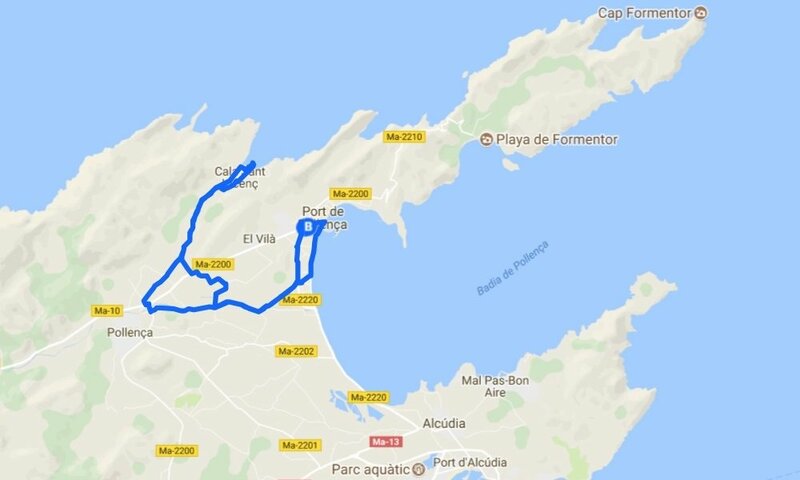 This trip can take you whole day with a stop for a walk in Pollenca old town or for swimming in Cala Sant Vicenc.